“New York City Opera (under the direction of Michael Capasso, General Director) will present, in a rare New York appearance, beloved soprano Aprile Millo in concert Wednesday, January 30 at 7:30pm at Zankel Hall.” Complete press release follows the jump. New York City Opera (under the direction of Michael Capasso, General Director) will present, in a rare New York appearance, beloved soprano Aprile Millo in concert Wednesday, January 30 at 7:30pm at Zankel Hall (881 Seventh Avenue, at 56th Street). Aprile Millo, the internationally acclaimed opera superstar, made Metropolitan Opera history when she debuted with the company in December 1984. A last-minute replacement for an ailing colleague, Ms. Millo’s debut as Amelia in Verdi’s Simon Boccanegra, with maestro James Levine at the podium, caused a sensation with the critics who heralded the birth of “a new Verdi star.” She would go on to perform 15 different roles in 154 performances with the MET, making the company her artistic home for over 20 years where she was acclaimed as their foremost interpreter of the Verdi oeuvre. Her career has brought her to the major opera houses nationally and internationally performing works encompassing both the bel canto and verismo repertoire from Bellini and Rossini to Leoncavallo, Ponchielli, and Puccini. 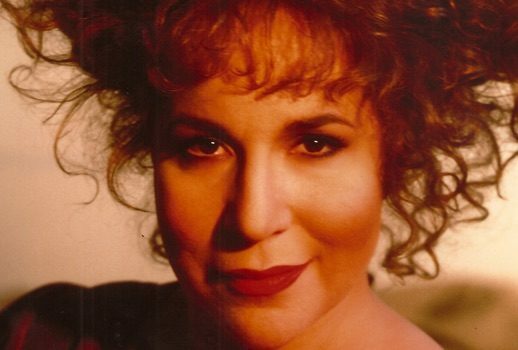 Her recordings include her Verdi series with James Levine and the Metropolitan Opera for the Sony Classical Label, the DVD/video of Verdi’s Un Ballo in Maschera, with legendary tenor and friend, Luciano Pavarotti, and the Emmy Award-winning telecast (as well as DVD) of the MET’s production of Aida co-starring Placido Domingo. Her many awards include the Verdi d’Oro presented by the Amici di Verdi di Bussetto, Italy. This lifetime achievement award which was presented to Ms. Millo earlier this year, is a rare honor which has been bestowed on only 14 people in the organization’s 46-year history. Ms. Millo joined a select roster which includes Carlo Bergonzi, Renata Tebaldi, Luciano Pavarotti, Cesare Siepi, Franco Zeffirelli, and Placido Domingo in being awarded the honor.